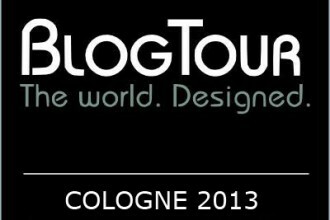 BlogTour Las Vegas is headed to Sin City from February 2 – 6, 2014 to report back on all things Design & Construction week. Please take a look at who gets to go this time and be sure to follow the team on their various social media platforms and blogs to read the latest about the tour, the city, the sponsors and the many highlights we have all planned out. And remember….What happens in Vegas…gets shared with the world! Having a love for fashion, interior design and an artistic flair it is easy to understand why Carmen Christensen is drawn to and inspired by all things design.President/Founder/Principal Designer of Time2Design, Carmen’s primary focus is luxury residential interiors, specializing in the kitchen and bath industry. As a professional member of ASID, Carmen is actively involved in the Florida West Coast chapter and is currently serving on the board of directors. 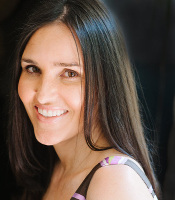 Carmen’s work has taken her to national and international destinations, been showcased in numerous showhouses and published in multiple magazines and online publications. For more inspiration on luxury design you can contact Carmen via Twitter, Facebook, Pinterest and Google+. 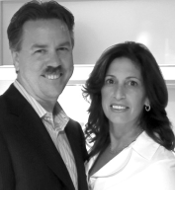 Grace and Ken are owners of Kitchen Designs by Ken Kelly, Inc., an award-winning design-build firm with two showrooms in NY – one on Long Island’s Gold Coast and one in the Hamptons. Ken (CKD, CBD, CR) is a 30-year industry veteran known for his creative design solutions, technical expertise, and unrelenting attention to detail. Ken and his team of designers have been showcased nationally in books and leading consumer publications. Grace was a business professor before partnering with Ken to manage strategic operations, business development, and marketing. Grace is the designer and Webmaster of kitchendesigns.com, writer of the Kitchen Designs blog, and liaison between designers and the media. If you’d like to learn more about this power duo contact them via their Twitter, Facebook and Pinterest. Vanessa Francis is the principal and founder of Vanessa Francis Design based just outside of Toronto. She was a Human Resources Manager for many years before going back to school for interior design. She is known for creating beautiful and functional spaces for her clients. Her aesthetic is clean, comfortable and effortless with just the right amount of colour resulting in spaces that are timeless, classic and stylish. Her work has been featured in various publications, both in print and online. This includes Canadian House & Home, Style at Home, Reno and Décor, Dabble, the National Post and the Toronto Star. She has also been featured on the Steven and Chris show. She writes the popular blog Décor Happy where she shares her advice and inspiration so that everyone can have a home that makes them happy! Find Vanessa on Twitter,Facebook, Google+ and Pinterest for tips to decorate a happy home. Meredith Heron is an interior designer and television host whose work is an eclectic conversation with color, pattern and texture.Heron’s obsession is color. Whether layering hues inspired by Roman church doors, or the ombre of Fall leaves in the rain, she combines it with sumptuous, mosaics of pattern, the clean lines of Regency or Louis XVI-inspired furnishing and modern accessories to create rooms that feel glamorous, feminine and familiar.On television, Meredith’s no-nonsense edge, great sense of humor, and her sincere desire to inspire, make her popular with audiences. She spent a season on HGTV’s Love By Design in Canada and Date With Design in the US; hosted HGTV and Fine Living’s Design Match and was a seriesregular on Restaurant Makeover for the Food Network.She’s also been featured on lifestyle programs like Steven & Chris and House & Home. 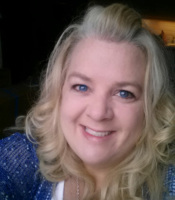 Meet Meredith and her great sense of humor via her Twitter, Facebook, Google+ and Pinterest. 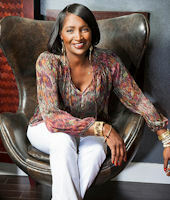 Principal and founder of Lisa Mende Design of Charlotte, NC. since 1998, Lisa’s firm specializes in traditional interiors with a modern vibe. In 2009, during a sabbatical from her practice due to grieving the loss of a child,Lisa started writing her blog of the same name “Lisa Mende Design”. Lisa believes a well designed interior tells the story of the owner and looks collected rather than designed. She was winner of the High Point Market Style Spotter competition, is a member of Brizo blogger19 and has been a curator for Joss & Main. A southerner by birth, Lisa is a wife and mother of four. 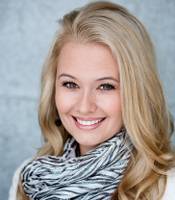 Her design work and blog have been featured in many local and national magazines. Catch up with all the trends in Vegas with Lisa and follow her on Twitter, Facebook, Google+ and Pinterest. 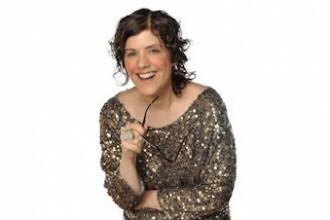 Rita Catinella Orrell is a design writer living in New Jersey and writes the blogs Designythings and Architects-Toybox. 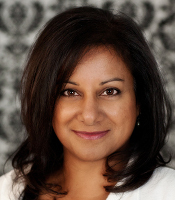 She has been a member of the design press for over 17 years, covering interior design, home furnishings, kitchen and bath design, and architectural building products. 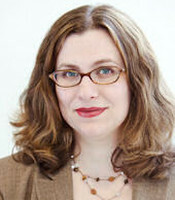 She has written and edited articles for Contract Design, HFN, and Architectural Record, among other publications. 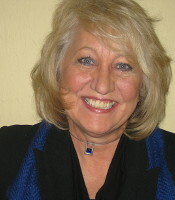 She is also a published poet and her chapbook Stuck in the Dream Wheel was published by Finishing Line Press in 2005. She earned her LEED Green Associate certification in 2012, indicating she knows just enough about sustainable design to be dangerous. Say hello to the talented design writer via Twitter, Facebook, Google+ and Pinterest. Christine Da Costa, principle designer of Decor by Christine Interior Decorating & Designer likes to approach a room like a woman’s outfit: “Decorate as you dress.” Buy great, timeless pieces that have longevity and accessorize with less expensive items! Make this your design motto and you will be successful. She also writes a design blog called The Glam Blog, has appeared on the national television show Cityline, & CHCH News talking about home decor, and freelanced as a Production Designer on the Property Brothers new Show “Buying and Selling” on HGTV & W Network in Canada. Learn how to design your room like your style from the glam mama herself via Twitter, Facebook, Google+ and Pinterest. 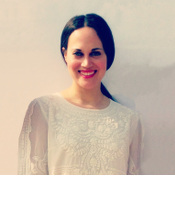 Sarah Sarna is the co-founder of interior design firm Franklin Eighth, and founder of Live The Life You Dream About, a lifestyle blog with a focus on style, interiors, fashion, New York City, and life. Live The Life You Dream About is centered on Sarah’s belief that interior design is about embracing life and how we want to live it.An interior designer for over a decade, Sarah developed her design expertise with several high-end residential firms in Manhattan before starting her own self-titled firm in 2011, then co-founding Franklin Eighth in 2013.Ms. 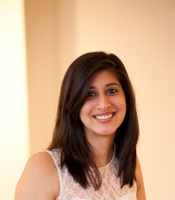 Sarna studied Interior Design in New York at Parsons The New School for Design, after receiving her B.A. in English Literature from Haverford College.She resides with her husband in Manhattan. Embrace life and talk with Sarah via Twitter, Facebook, Google+ and Pinterest. Marilyn Russell, Allied ASID, president of Design Magnifique, Inc., epitomizes the style and the substance of today’s internationally focused and modernist approach to interior design. Highly educated—she has three college degrees that contribute to her dynamic and diverse design sensibility—Russell was born in Jamaica, grew up in Boston and studied historical interior design in London. Her own work is contemporary and trendsetting with a masculine, edgy feel to it. 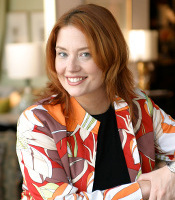 She specializes in mid-century modern, minimalist, and “Mad Men” 1960s ultra-modern decors that often feature a jolt of bright color in neutrally-toned rooms.For a jolt of her bubbly personality and great design insights, please find her on Twitter, Facebook, Pinterest and Google +. design spaces that seamlessly mix styles, layer pattern and incorporate kid-friendly products that will stand the test of time. She is also the voice behind the Simplified Bee Blog which was launched in May of 2009. It’s where she shares her inspiration and passion for interior design. 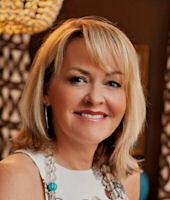 Learn more about her passion for interior design via Twitter, Facebook, Google+ and Pinterest. JB Bartkowiak is blogger-in-chief at the Do It Together Home Improvement website, BuildingMoxie.com. He is a one-time construction manager and professional handyman with nearly 15 years experience in remodeling and building. 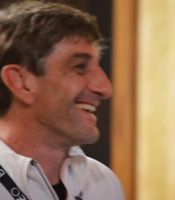 A proud husband, father, friend and coach, JB is an avid DIY-er, property owner and investor. Also known as Your Home Project Assistant, he is available for questions anytime, on anything home-related, @ jb@buildingmoxie.com, Twitter, Facebook, Google+ and Pinterest. Tina Ramchandani is the founder and editor of Life in Sketch where she shares what inspires her in the world of design at large, from her daily experiences in New York to her extensive travels abroad. Life in Sketch’s mission is to share unique perspectives on interior design, tips of the trade as related to products & practices, and help inspire readers to create a luxurious, stylish home for themselves.Tina developed her design expertise with several top tier high-end residential and commercial interior design firms in Manhattan, including Frank & Marcotullio Design Associates and Vicente Wolf Associates, before co-founding Franklin Eighth with Sarah Sarna in 2013. Learn more about her unique design perspective via Twitter, Facebook, Google+ and Pinterest. Stacy Naquin embodies Southern chic, with interiors that are daring, glamorous, and unique.Her signature style is an edgy combination of modern glamour, timeless design details, and current trends, making her one of the freshest faces in design throughout Louisiana and the South.Stacy is an award-winning designer, whose work has been published in national print and online publications, and she has appeared regularly on local television. Stacy’s creative background includes an Interior Design degree from Louisiana State University and studies at the prestigious Art Institute of Fort Lauderdale, which give her a curator’s eye and infuses her interiors with a cutting-edge, but approachable, design. Learn more about her edgy & modern glam style via her Twitter, Facebook, Google+ and Pinterest. So excited! Let the Vegas Games begin!! Can’t wait! Excited to meet those of you I haven’t met yet and see those I have met again! What a great group – some people I know and admire, plus some newbies whom I’ll come to know and admire. I’m especially excited to see JB in the group. Love that guy!!!! One of my very first Twitter friends. Great folks above. Looks to be a great time for all involved. Yay!! What an amazing group – you are all going to set that town on fire! Wow, what an impressive group. Can’t wait for the Vegas round-up and to meet you all! Watch out Las Vegas! 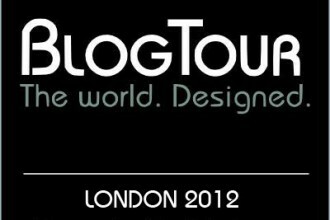 Looks like another STELLAR BlogTour! Enjoy! 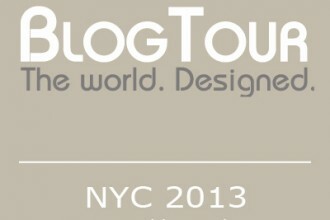 I’ve had the pleasure of traveling with 8 of these chosen designers and all I can say is this is one AWESOME group!! Congrats and have fun!! So excited for Vegas! Can’t wait to meet the rest of the group! Welcome all. 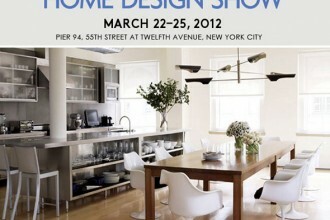 Thrilled such a superb group of design pros will be part of KBIS. Thanks to you all, and Veronika, for your commitment to our industry. All indicators suggest this is going to be a good one! Can’t wait to meet you all IRL. I now follow/like you all! VEGAS here we come!!!! What a fantastic group chosen once again. Hope you all have a great BlogTour in Vegas. BlogTourNOLA was a highlight for me in 2013. Excited to meet you all and show you all the cool features and innovations that we have included in our booth! Viva Las KBIS! We know the competition will be steep but we are confident in our designs and looking forward to the Best of KBIS & Innovation Booth Awards! Can’t wait to meet all of you and looking forward to heading back to Vegas. I will miss all the great food we had in New Orleans last year but nothing beats Vegas in February. Really looking forward to meeting the whole group – T-minus 25 days! Excited to follow along. Sounds like a terrific group! 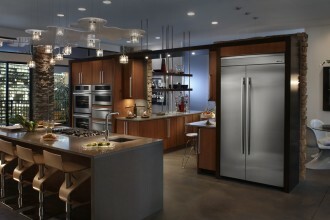 Looking forward to meeting you all at KBIS – and seeing some familiar faces, too! Can’t wait to meet everyone in Vegas! This looks like a list of the top notch bloggers in the industry!! Can’t wait to see you all in Vegas again this year!! !